An advocate for drug users on Vancouver's Downtown Eastside says he's forced to buy fentanyl on the street because doctors won't write him a prescription for his chronic pain. "I don't want to be buying street drugs," Hugh Lampkin told Stephen Quinn on The Early Edition. "I think that I have a legitimate medical condition where I should be getting medication from my doctor." Lampkin, who is a board member and former president of the Vancouver Area Network of Drug Users, says he has arthritis and three deformed vertabrae. "I'm in constant pain because it's compressing my spinal cord," he said. "I've had an MRI, CAT Scan. I did a nerve conductivity test. I did every test that the doctors ever wanted. I've always been straight up with the doctors, and I get absolutely nothing for my pain." Lampkin suspects doctors won't prescribe him opioids because of his history of addiction, something he says began after being sexually abused and abducted as a child. He dismisses concerns that he might sell his prescription on the street. "Come on, give me a break," he said. "If you see the X-rays and the MRI you know I'm not going to sell my medication." Doctors of B.C. 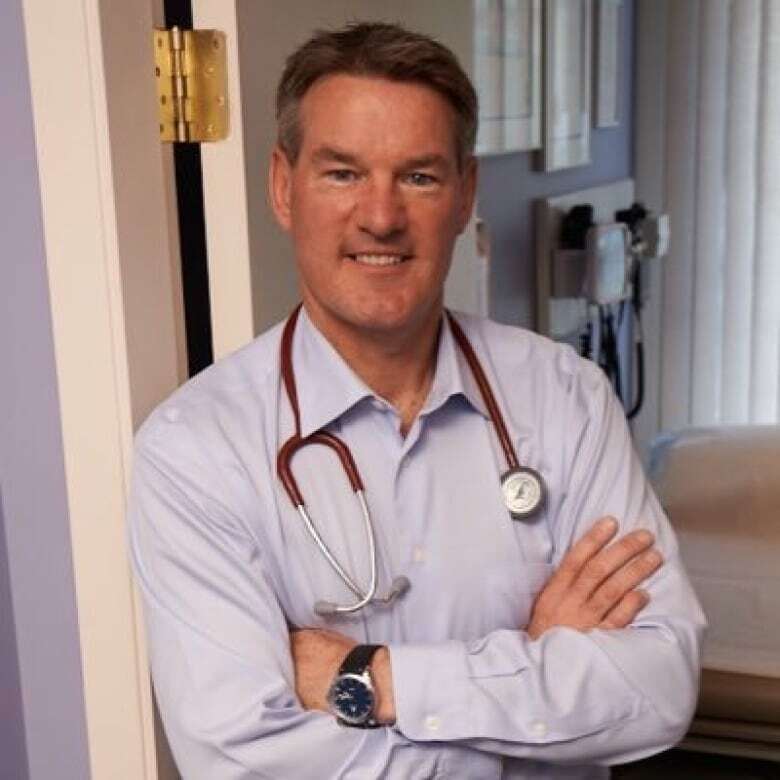 president Dr. Alan Ruddiman says there's "no doubt" that physicians' fears of giving addicts opioids sometimes prevents them from prescribing medicine to legitimate patients. "I would challenge my colleagues to open their own minds and create the space for conversations with patients. We need to stop labelling." Lampkin says he needs two doses of opioids a day — one in the morning, one at night — to be able to function. Morphine is the most effective, but lately he's had a hard time finding it on the street. "So I have to go to something that's either as strong, or stronger, so the next step is heroin. And what's on the street right now isn't heroin, it's fentanyl." According to B.C. 's Coroner, fentanyl was present in more than half of the illicit drug overdoses across B.C. during the first four months of 2016, a situation which prompted the provincial government to call a public health emergency. Lampkin says he reduces the risk by taking only a small dose and trying not to use alone. He says he's tried to get clean, using methadone and Suboxone, but those prescription drugs did not adequately ease his pain, so he turned back to street drugs. "I don't use to get high. I use for pain. A lot of people go, 'Oh, he's full of it, or whatever,'" he said. "I don't really care. I know I'm in pain."